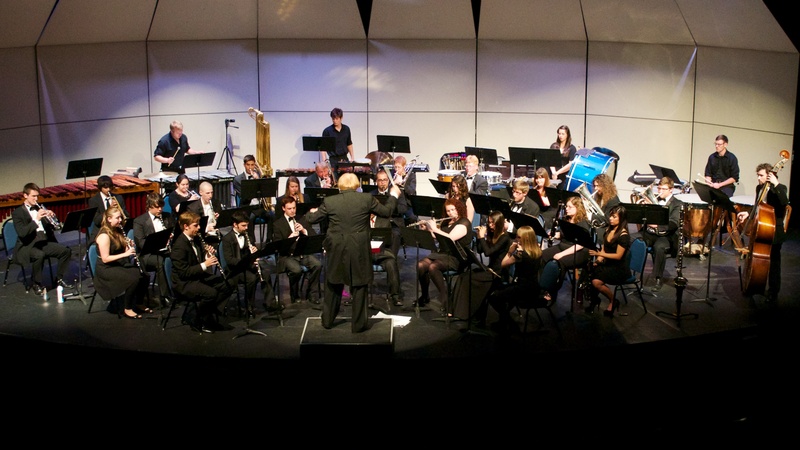 The Western Oregon University Music Department sponsors and hosts music festivals for choirs, bands & orchestras on a regular basis. Additionally, WOU hosts the annual Composer’s Workshop. Please select the link below to obtain general information, guidelines, and application materials. The annual WOU High School & Middle School Choral Festival is designed to provide a positive, early-year performance opportunity while fostering educational experiences through mass choir performances, guest clinicians, sectional rehearsals, and recording opportunities. It is non-competitive and offers separate clinics after each ensemble’s performance. The Western University Brass Festival is an annual event that brings world class brass artists and educators to Western Oregon for a day of clinics, masterclasses, exhibits, and performances. This year’s guest artists are brass pedagogue Jan Kagarice, low brass specialist Dr. Noel Wallace, and WOU trumpet professor Dr. Keith Karns. This event is open to musicians of all ages and experience levels. The festival is open to high school bands and orchestras regardless of classification. Please register using the online registration form by clicking on 2019 INFORMATION. For additional information contact Julia Harrington at 503-838-8275. Western Oregon University presents its annual Composers Workshop that features guest composers & performers throughout the academic year. The workshop aims to foster the creation, growth and appreciation of contemporary music in the University’s local and regional communities by providing a forum of composition-related topics, presentations, and performances for the following clientele: Composers of any age who are at the early and formative stages of their creative activities; Studio and classroom music teachers engaged in teaching beginning composition techniques; Western Oregon University students and faculty; and Community members.